Some neutered, mature cats have a tendency to beg for food, even after eating the recommended daily allowance. If your cat has exhibited this sort of behaviour, a change in its diet may be in order. ROYAL CANIN® Appetite Control Sterilised 7+ is specially formulated with all the nutritional needs of your neutered, mature cat in mind. 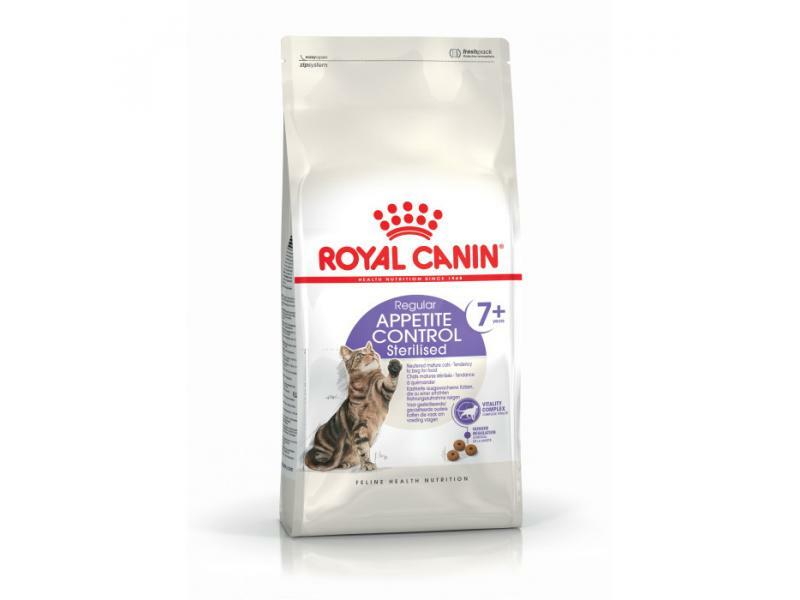 Enriched with targeted nutrients, ROYAL CANIN® Appetite Control Sterilised 7+ contains a moderate level of fat (12%) and specially sourced fibres. These nutrients not only limit your cat’s calorie intake, they also satisfy the appetite of cats that have a general tendency to beg for food. To support your cat’s renal health, ROYAL CANIN® Appetite Control Sterilised 7+ contains a specially adapted phosphorus level – contributing to the maintenance of healthy kidney function. What’s more, ROYAL CANIN® Appetite Control Sterilised 7+ is also formulated with a specific balance of minerals that help to support and maintain your neutered, adult cat’s urinary system. Royal Canin Regular Appetite Control Sterilised 7+ for neutered mature cats from 7-12 years old. Tendency to beg for food. There are currently no questions for ROYAL CANIN® Feline Health Nutrition Appetite Control Sterilised 7+ Adult Dry Cat Food - be the first to ask one!